Two Librarians from opposing fandoms try to conquer the world of comics and manga! 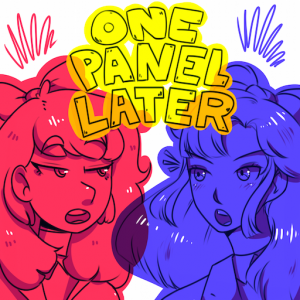 Angela and Kelly break down 2018 “best of” list trends for comics and manga, which mostly devolves into Kelly being sad about the total lack of manga. We’re talking about deserved recognition, undeserved snubs, and then naming some of *our* favorite titles from the last year. Plus, we’re looking ahead to 2019 at some exciting upcoming titles. Angela and Kelly get in the holiday spirit with a graphic novel gift guide to cover all your friends and family’s interests, from your snooty aunt who only reads nonfiction to your edgy friend who likes manga filled with DARKNESS. Share the gift of good books – give a comic this season! Angela and Kelly get in the mood for Halloween with a chat about spooky creatures in manga and comics: We’re talking witches (and our love for Sabrina the teenage witch), vampires (hot or not? ), zombies, ghosts, yokai (Angela still does not understand what a yokai is). Plus: Is Scarlet Witch witchy enough to be a real witch? And Angela dumps on the English literary canon by hating Dracula.